The Key problem, addressed by “CREAzone 2.0” is disproportionately high unemployment rate, especially among youth, arising from the disparities between Programme regions and capital cities. 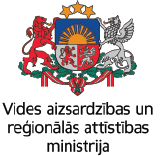 By implementing the project, there are a six-step program performed to create new business opportunities in traditional industries in the Lithuanian-Latvian cross-border region by knowledge economy driven promotion of youth entrepreneurship. On April 13th in Liepaja the event “DEMO DAY” – which is the final stage of the fifth step DESING IT – will take place. During the DEMO DAY participants and mentors from Latvia and Lithuania will present their business plans to potential investors. The event is organized by Ventspils University of Applied Sciences.